ooo i like the tangerine business going on...very pretty! I completely agree. 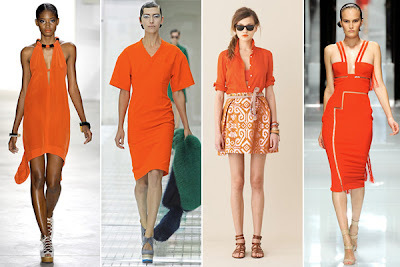 Orange has definitely grabbed my attention lately. Especially the bright shades of these dresses. That clutch is amazing!